For FITIV to be able to report your burned calories on Apple Watch, the app needs to have the proper Health permissions. 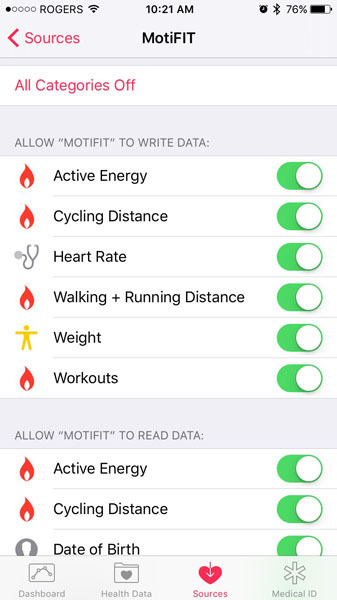 To enable FITIV to read your burned calories, the READ ACTIVE / RESTING CALORIES permissions need to be enabled in the Apple Health app on your iPhone. Tap SOURCES > FITIV PULSE and adjust the permissions accordingly. Once enabled, you need to allow the settings to sync back to your Apple Watch. NOTE: Sometimes an Apple Watch restart is required for the sync to be performed.